Today’s Internet and network-based home automation technologies are much more wallet-friendly than whole-home options. The savings between the two home automation routes is astronomical: hundreds for the former and well into the thousands for the latter. Of course, the amount you spend on either totally depends on what you want to do, but the gap is still significant no matter how high-powered you go with Internet and network-based solutions. Attaining an equal amount of control with a whole-home solution will run your initial costs sky high due to the labor and technology involved. Turn lights on or off with a touch of your smartphone or tablet’s screen. Create lighting schedules so that lights come on and go off at designated times. Tie your lights into motion sensors so that lights come on when you enter a room and go off when you leave it. Dim lights automatically based on other lighting conditions in the room, such as sunlight directly coming through windows or skylights during certain hours of the day. 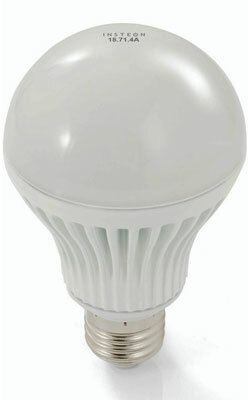 Smart, low-wattage LED bulbs, like INSTEON’s 2672-222 shown, can provide nearly or the same amount of light as standard bulbs running at much higher wattages. Smart LED bulbs don’t need replacing nearly as frequently as standard bulbs, saving you tons in bulb costs over the life span of the LED. Smart LED bulbs put off much less heat, so cooling and heating costs are affected. Water leak detection can prevent a high water bill, and also the sometimes enormous costs of water damage. Keeping home temperatures level saves a chunk of change over fluctuating temps. Also, turning thermostats on or off remotely can save a bundle, too. You save fuel when you don’t have to turn around and go home because you did something like forget to lock the front door when you ran out. Just use the app on your smartphone to lock the deadbolt while motoring along on your merry way. Robotic mowers save money on gas because they use electricity. With prices like they are at the pump, this can translate into big savings. As long as you use your home automation technology in an intelligent way, you will save money compared to operating things status quo. There’s no way around it.